Pushing Boundaries, And Questioning Tradition. 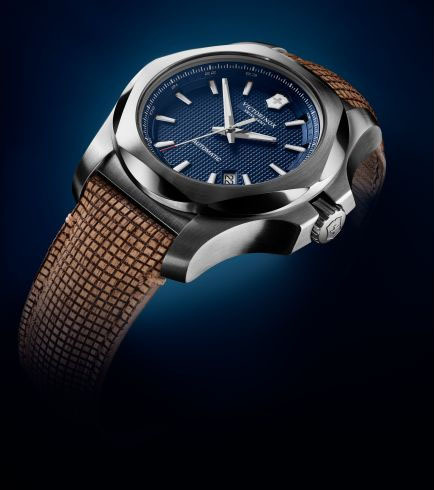 A Victorinox wooden strap watch is the latest innovation to come from the brand known for pushing boundaries when it comes to the materials used in the creation of their watches, as we have previously seen with the use of Paracord! Victorinox have now launched a new model form the I.N.O.X. mechanical range, which is a first for the brand, featuring a watch strap made of wood! We had access to a fantastic interview with the product manager at Victorinox, Basile Maeder, to get a bit more insight in to why and how they were able to use this material, and provide sustainable value, both conceptually and ecologically, so keep reading below to see our summary of what this new strap is all about! A Victorinox Wooden Strap I.N.O.X.? The first place to start when asking about the Victorinox wooden strap is of course, where did the idea come from? As a brand Victorinox are always invested in the continuous search for brand new innovative materials, and when a partner came to them with this idea whilst working on the I.N.O.X. mechanical, they ran with it, without hesitation! So, manufactured by a Swiss partner, the strap was the perfect fit for this new model in production. The process of producing a wooden strap for a watch is very similar to one made of leather, with the surface consisting of thin layers of wood, with the wood being shaved into very fine layers to ensure maximum flexibility for the wearer. In the case of the Victorinox wooden strap, FSC certified linden wood is used, with the Forest Stewardship Council dedicated to forest preservation, ensuing that the wood is sourced from controlled, sustainable origins! When producing this new style of strap, comfort was always a key factor for the development team, so the main challenge for them was to be able to produce something that is not only comfortable, but innovative too. This was helped by the wood and its special characteristics, being a natural material gives each strap slight variations and embellishments that may not be on another. This will then also develop a slight patina during the time of wearing, simply adding to the depth and dimension of the piece. Not only do the properties of wood support it’s aesthetic uses, it is also relatively durable and long-lasting. Similarly to a leather watch strap, when looked after properly this will last a long time! We never stop looking into all of the opportunities offered by natural materials, we also studied options using cork and bamboo, but we felt that wood was the material that best reflects what our brand stands for. The strap arrives with a 21mm lug width making it compatible with all models from the I.N.O.X. range with a case diameter of 43mm, but of course comes as standard on the I.N.O.X Mechanical 241836.